Fitness trackers have had a hard time since the release of the Xiaomi Mi Band 2. That’s why manufacturers must be able to incorporate special features. For example, the Lenovo Watch 9 has a long battery life. 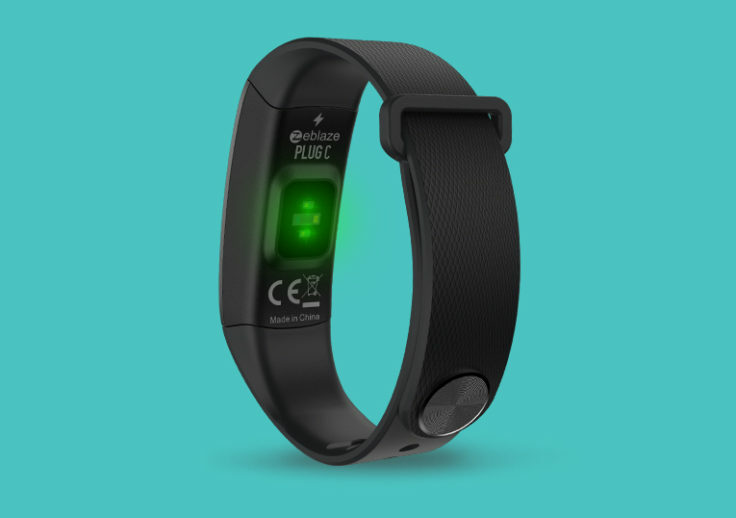 The Zeblaze Plug C Fitness Tracker has an Always-On colour display and Quick Charge. Zeblaze gives the Plug C the classic band design of a fitness tracker. This fitness tracker consists of two or three parts: the actual fitness tracker and the strap. As with the Mpow Fitness Tracker, the USB plug is located on the tracker itself, so no additional charging cable is required. 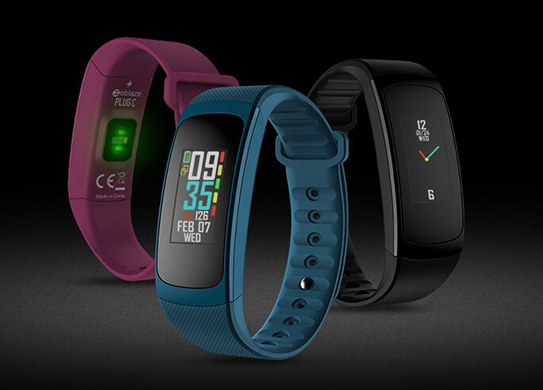 The Zeblaze Plug C Fitness Tracker is also available in three different colours. Besides the classic black, the strap is also available in blue or purple. The centre of attention, of course, is the display. 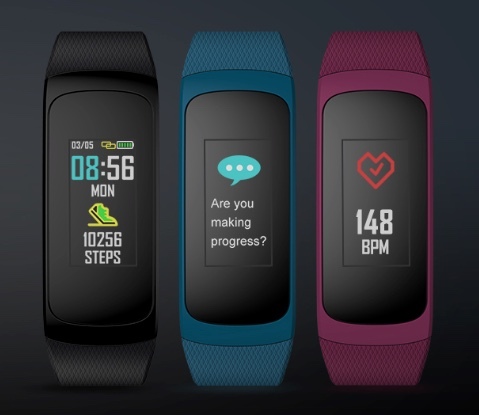 The diagonal of the LCD panel measures 0.85 inches and is therefore slightly larger than the Xiaomi Mi Band 3. 72 x 144 pixels resolution is relatively good. But the big difference is that it is even a color display. This is not necessarily typical of a fitness tracker. I see the Huami Amazfit Cor, which delivers the larger screen with 1.23 inch, as the strongest competitor. If you take a closer look at Plug C, there would certainly be room for a little more display area. However, this is an Always-On display, although one does not rely on an OLED panel. This means that the display is always on without having to touch or move the tracker. With its curvy design and a weight of only 19.8 g, the bracelet should be quite comfortable to wear. The IP67 certification is also practical, making the Fitness Tracker dust-proof and protected against water up to 1 m deep. In terms of functionality, the Zeblaze Plug C is just the same as any other. That’s why we want to quickly check off the central functions: heart rate monitor, pedometer, calorie consumption meter, various sports modes, sleep tracking, alarm clock and the notification function. 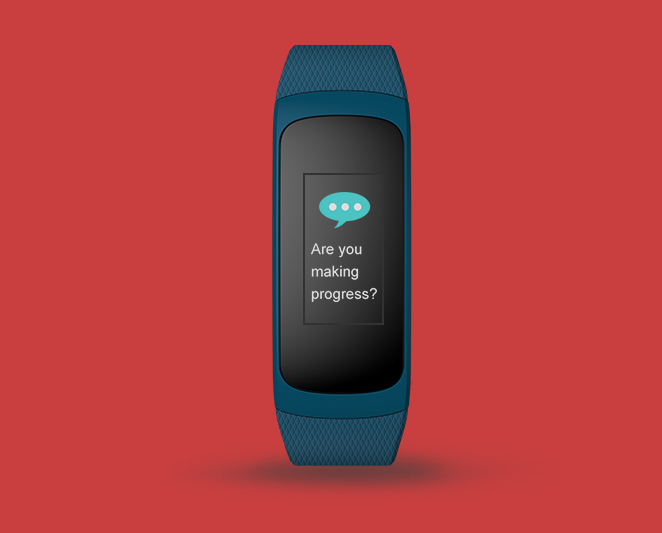 If you already own a fitness tracker, you won’t be surprised. Especially the notification function could be interesting here, because the color display can display the colored icons of the respective app well. There is also an “anti-theft” function. But this only causes the Zeblaze Plug C Band to vibrate as soon as the connection with the smartphone is broken. An interesting feature in this case, however, is the battery or the charging option. The battery is relatively low at 90 mAh, but Zeblaze promises 30 minutes of charging for 5 days standby time. Whether this is so impressive and one can call it a “Quick Charge” is something we doubt. Intensive use should last one week. Of course, we are not surprised that the running time of an LCD display, which is always on, is correspondingly short. An OLED display like the Huami Amazfit Bip provides a running time of about 3 weeks and is also always on. Of course, all good hardware also includes the necessary software. 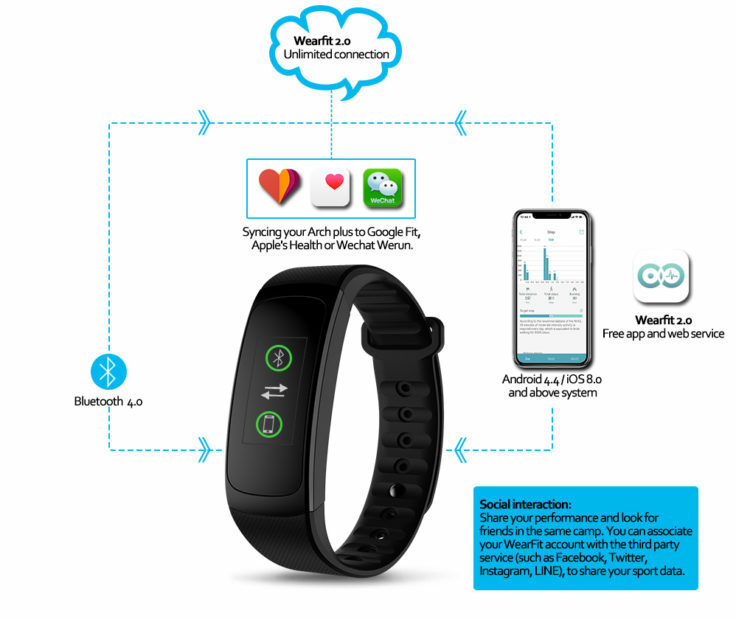 The app used is Wearfit 2.0, which connects to the Zeblaze Plug C Fitness Tracker via Bluetooth 4.0. This is an app that has not only been programmed exclusively for Zeblaze. It can be synced with Google Fit or Apple Health. However, the App ratings in the App Store and Google Play Store are, to say the least, mixed. This does not necessarily mean anything, some negative experiences refer only to individual functions. Only a test can show that. Overall, the Zeblaze Plug C Fitness Tracker is a fitness tracker like any other. The advertised Quick Charge option is really nothing special due to the small battery size. But the always shining colour display, which is of course an advantage over the Mi bands, is a highlight. The biggest competitor I see there is the Amazfit Cor, which is slightly above the Zeblaze in price. We are not quite sure: can you test it or can you simply do without it? How do you see it? What about in day light ? How is the brightness. I have been scouringing the market for an ultimate fitness tracker with smart features to log data on to my mobile. This review leaves me dry and thirsty. Half payment for a test device ? @Thorben: thanks, just read the review. I need the colour screen ones with classic round dials , the skin and layout changeable among other features of heart monitor , etc.